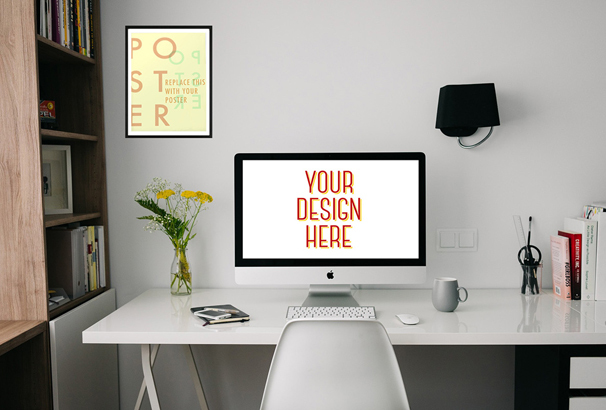 If you are a designer or artist who needs to present a piece of work to a client or on your website or portfolio etc, it can be nice to display the work in place in a work space setting to give it that finishing touch. Unfortunately not all of us have a beautiful ( or tidy! ) workspace we can use to do so, which is where a workspace mock-up comes in. You can download an image of your desired workspace which could include things like a PC or MAC screen, a desk, seating and other elements like books, lamps and other things you might find on your desk. Then you can simply drop your work into place and it will look beautiful and give your client more of an idea of how their work will look in a final setting. 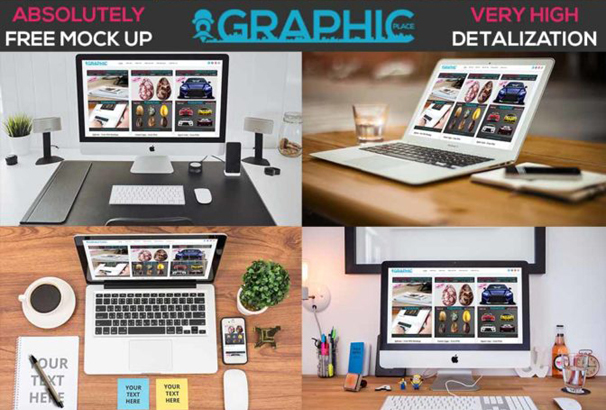 A lot of designers have created workspace mockups in Photoshop PSD format which you can download completely free – they will usually use smart layers so you can simply double-click the layer with the screen and paste in your work and save it and it will automatically update so your work is sized and placed correctly within the frame. 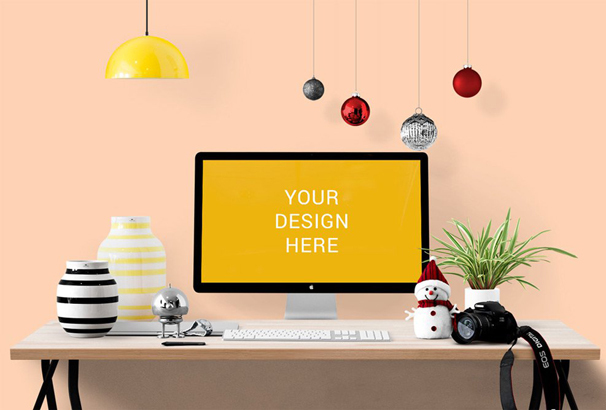 Take a look below at over 30 Free Workspace Mockups you can use and elevate your designs and impress your clients! By using this photo studio workspace mockup you can showcase your design or presentation on an Apple device with photo-realistic effect. Simply add images into the smart objects and your design will be ready to present to your clients. It requires minimum CS4 to work properly for your projects. 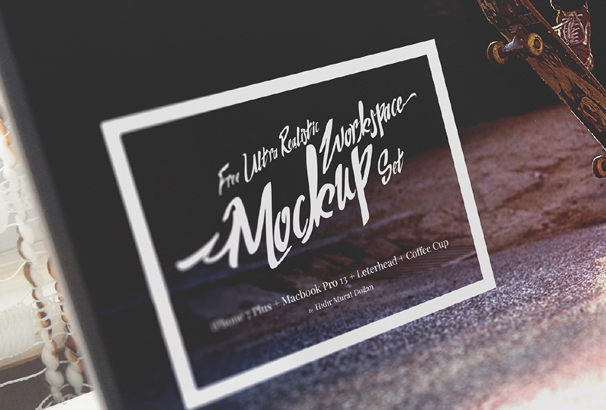 You’re getting the free mockup of workspace with iMac in vintage style in the freebie pack. Perfect for use in your presentation. This freebie created by Just Mockups. 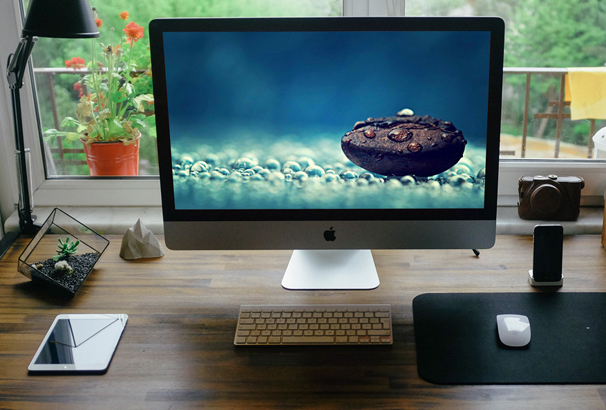 This is another beautiful iMac mockup PSD. 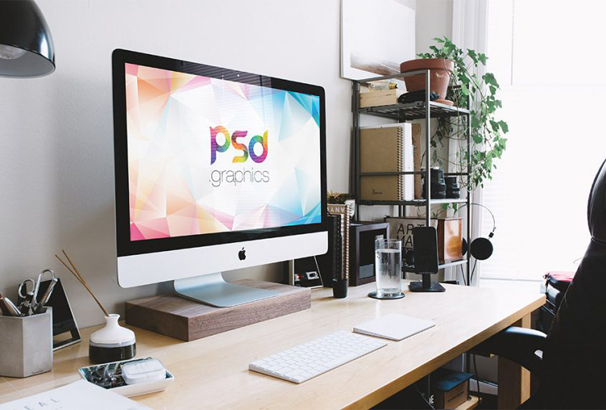 This high-resolution mockup PSD helps you to show your creative design work project to your clients on iMac Screen. This pack has layered PSD resources and it is very easy to customize. The PSD file arranged in groups and named perfectly, which can save the time to create an exclusive mockup for your personal and commercial projects. 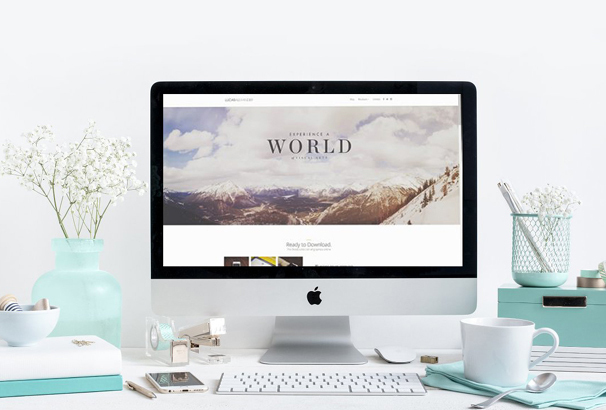 This exclusive free workspace mockup with MacBook will help you to showcase your design or presentation on the MacBook. The freebie requires minimum CS4 to work properly. It is completely layered and contains photoshop smart objects and ready for you to drop your work in. 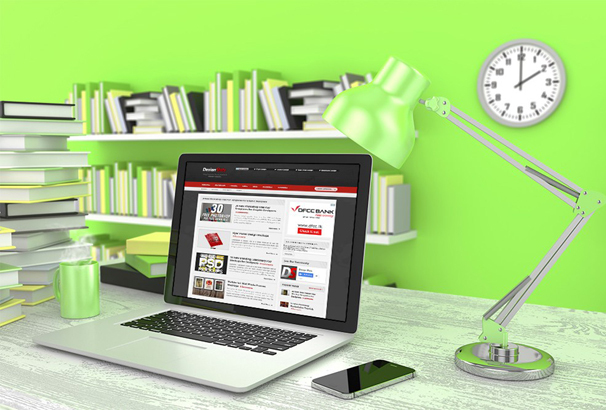 If you want to display your web design projects in a realistic work environment, then you are in right place. This MacBook pro mockup PSD will enhance your presentation giving it a photo-realistic look and feel. You can easily add images inside the smart objects and create an amazing realistic work environment in design. If you want to show off your apps and web design projects in a smart and beautiful way, then use this hi-resolution MacBook workspace mock PSD. You’re getting fully layered PSD file in this pack and it requires minimum CS3 version work properly with this PSD. Just drag and drop your design in smart objects and your presentation will be ready by few clicks. 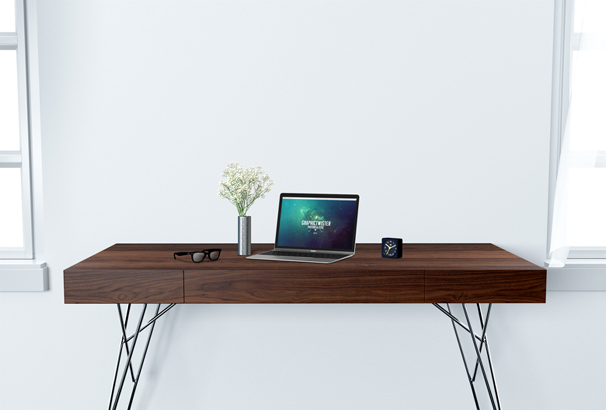 Use this separate workspace mockup to showcase your design or presentation on a wooden desk in a modern interior. 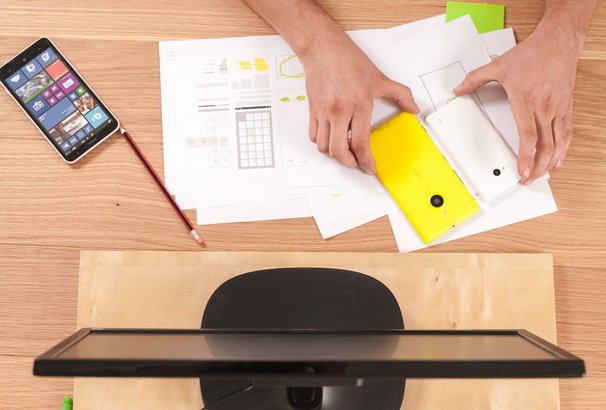 You’re getting four separate workspace mockup accessories in this pack. Simply add your image to the smart object and enjoy your work. 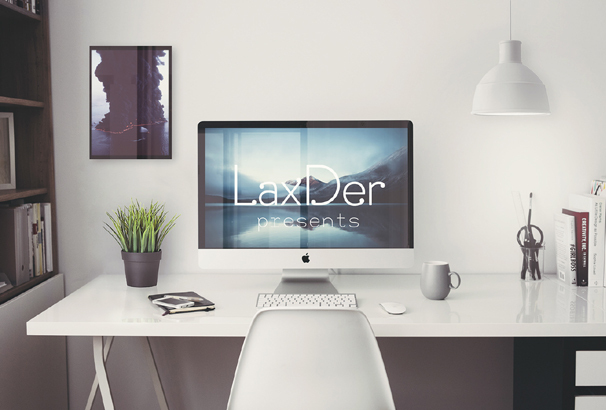 This Workspace presentation has mockup with MacBook and framed poster. This PSD mockup is perfect for your designing work or presentation. This PSD mockup is fully editable and has smart objects that will considerably help you with your work. This free PSD mockup is perfect to showcase your designs. You can use this free mockup for demonstration your works for your clients and your design will look professional and beautiful. Desktop Computer Mockup is ideal for presenting web pages or desktop applications. You’re getting fully layered PSD file in this pack and it allows you to change the layout of the screen with a few clicks. 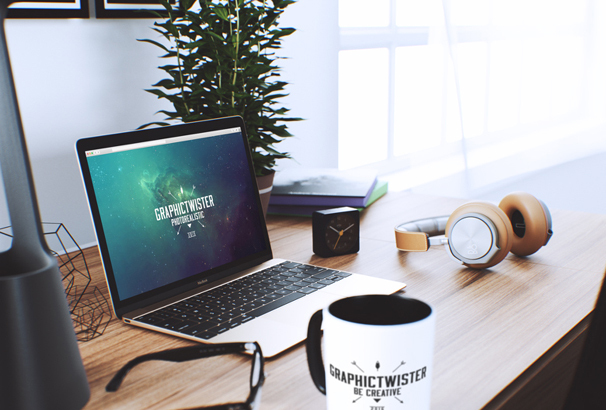 This ultra realistic workspace mockup set has 18 full layered PSD files. This mockup is ideal to present your work in a beautiful way with photorealistic effect. The mockup itself is also fully layered and easily customizable and easy to use in any projects. This is another beautiful apple iMac mock PSD comes with hi-resolution format. The freebie pack is fully layered and has photoshop smart objects which will make your work so easy. Perfect to show off any kind of app, website or media project in a beautiful way. This PSD was created by Vlastimil Vávra. 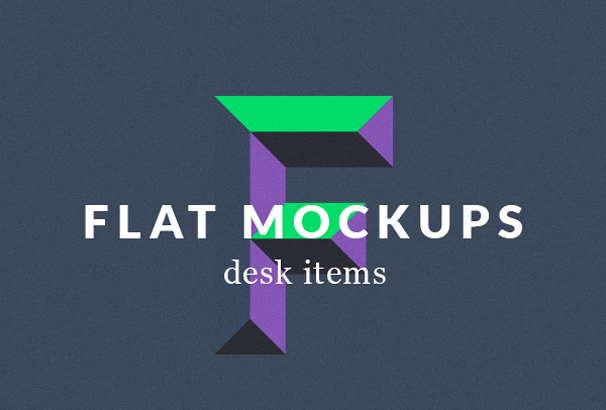 This mockup has all new collection of desk items to help you create great images for your projects. This pack comes in both PSD and AI formats. All the assets are completely free and fully scalable. 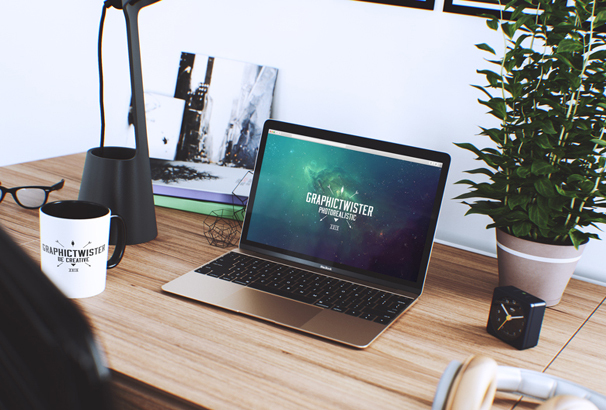 This exclusive Envato workspace mockup was released by Tran Mau Tri Tam. The PSD file is free to download and it features smart objects, realistic reflections, VSCo film effects. All the assets come in hi-resolution and easily editable backgrounds. It is also free for both personal and commercial use. This amazing freebie pack has high-quality free images for designers and developers. This mockup is free from copyright restrictions so you’re allowed to copy, change, distribute and do the work, even for commercial purposes. It is also fully editable and very easy to use. 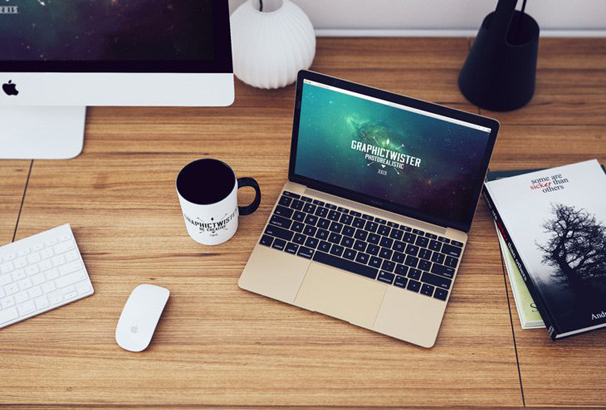 This MacBook workspace mockup PSD is excellent to showcase your creative work. It is very easy to place your designs using smart objects. 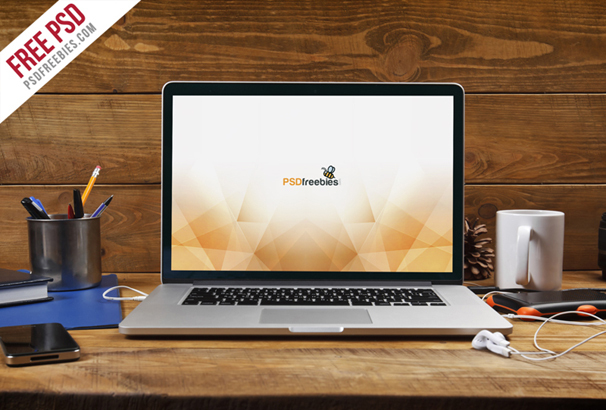 This exclusive free MacBook workspace PSD created by PSD mockup. These free 4k MacBook pro mockup PSD files have been created from high-resolution photos so you will get amazing results for your works or presentation. The set also comes with smart object layers that enable you to add your own customized screens. This pack has free iMac and iMac workspace PSD files to showcase your design or presentation on iMac and iPad screen. This mockup is fully editable by smart objects and layer adjustments. This exclusive freebie was created by Serge Steblev. 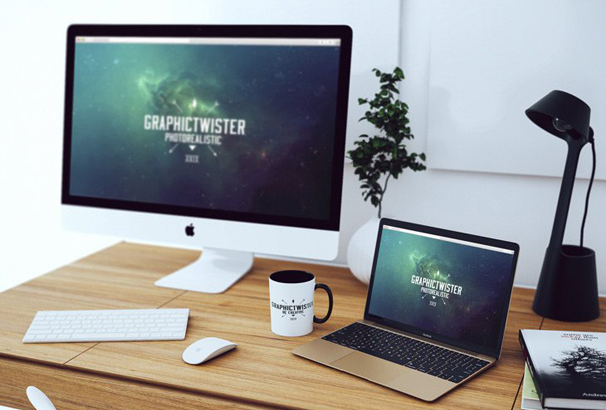 This desk setup mockup PSD pack will enhance your presentation, such a beautiful way. 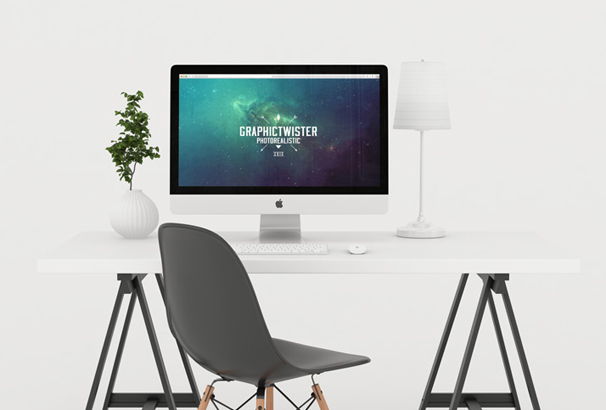 This attractive desk setup mockup PSD comes with a layered PSD file with smart objects. Simply add your image to the smart objects and your presentation is ready to show to the client. This iMac mockup PSD will help you to showcase your design or presentation on iMac, iPhone, MacBook with amazing effect. This fully editable resource is great for your apps and web design projects. All the assets in this freebie pack are fully editable and free to use for your personal or commercial projects. 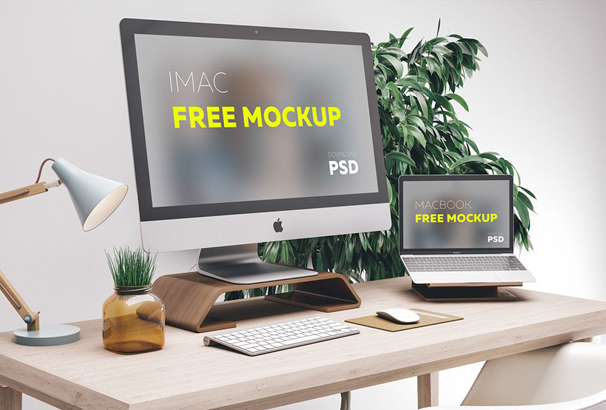 This is another great resource of iMac mockup PSD. Perfect for use in your presentation. 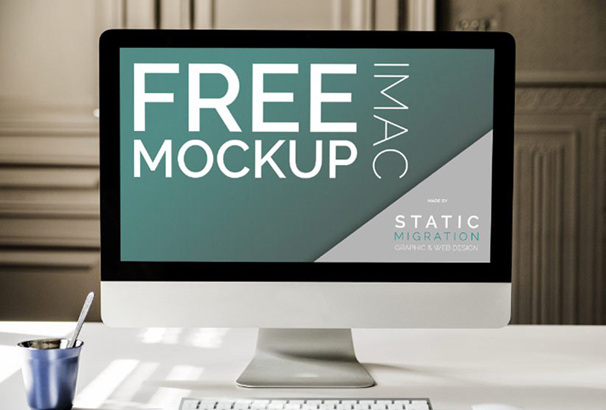 The iMac mockup is also fully layered and easily customizable and easy to use in any commercial or personal projects. 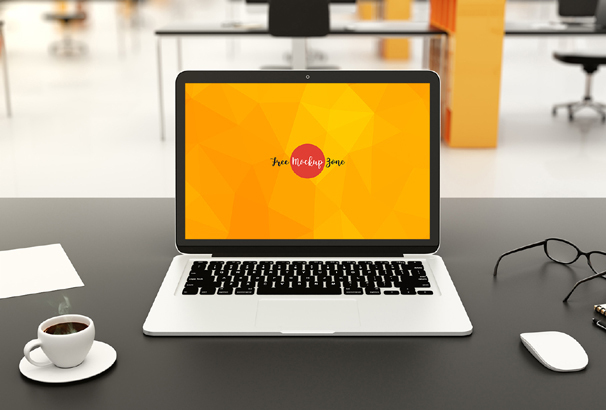 By using the laptop mockup you can easily make professional layouts output of your presentation. You can also showcase your design by smart objects by using this laptop mockup. 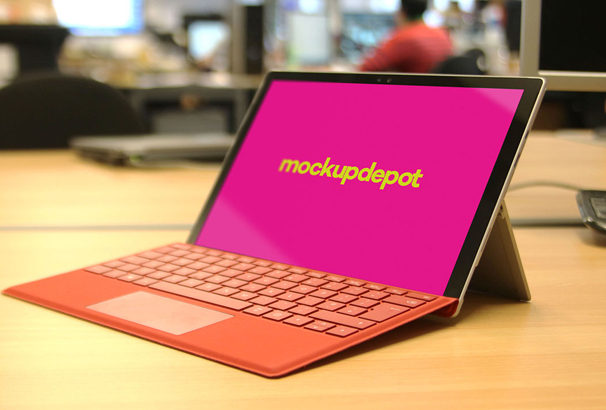 You’re allowed to edit the PSD files as needed and allowed to use mockup for a personal and commercial purpose. 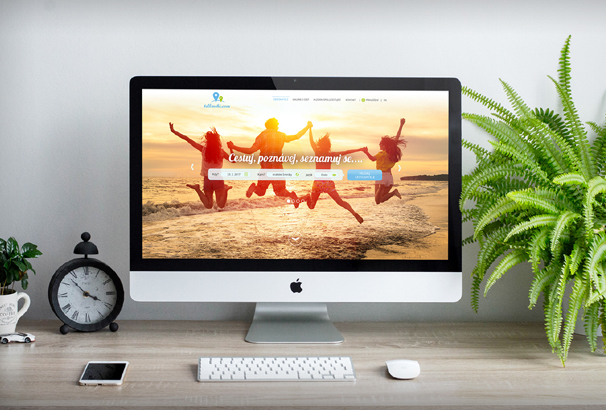 This is another attractive iMac cinema display mockup was created by Mayursinh Jadeja. The freebie pack includes layered mockup of MacBook, which you can easily move around and customize to create different types of scenes. 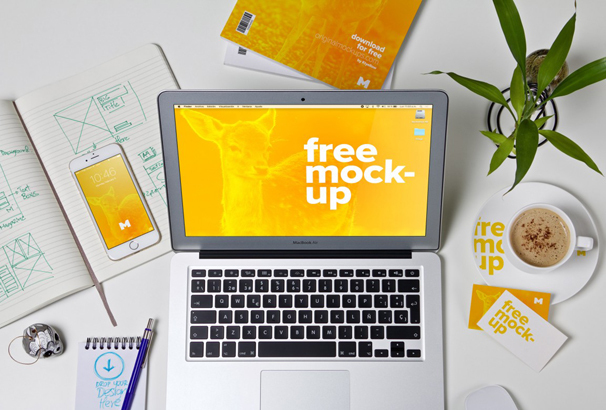 This free workspace PSD mockup is ideal to present and promote your designs on the MacBook Air screen. You can easily place your own design into the smart objects. Free to use and download for any types of presentation. 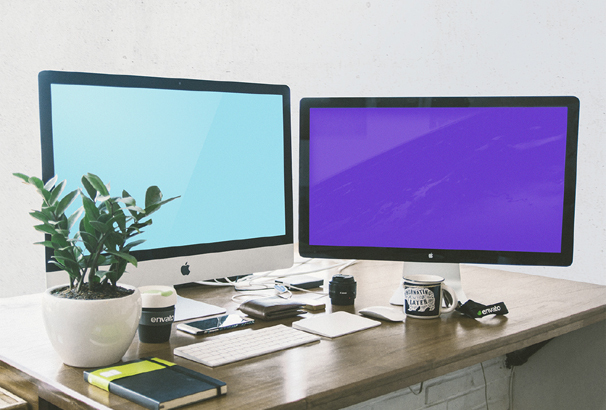 This attractive iMac mockup PSD pack includes 3 PSD files. All these PSD files are easily editable, and you’re allowed to use it for your personal projects or for commercial use. A beautiful and modern home office scene containing an iMac. This floating desk mockup can be used in your project work and it comes with smart object layers. New workspace desk with MacBook mockup PSD can help you to showcase your design or presentation with a great way. 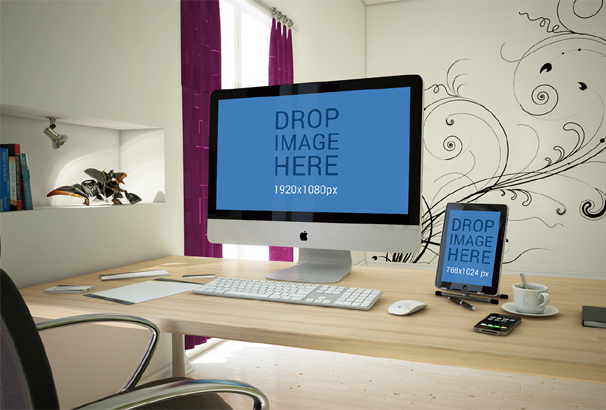 The original dimensions are 3000×2250 PX so you will get high-quality output by using this workspace mockup. Free to download and use in any projects. 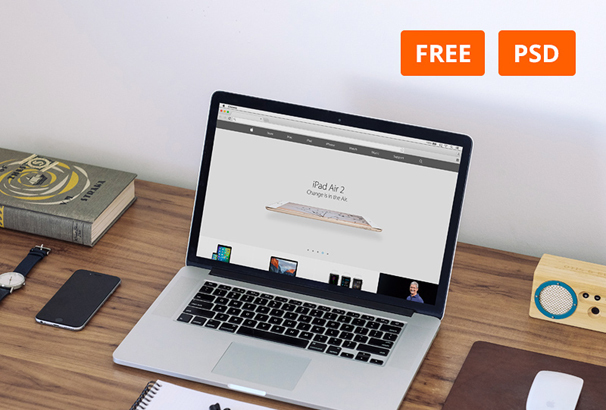 This mockup PSD file is perfect to showcase your design or presentation on new MacBook 2016. You can easily add your image into the smart objects and your presentation will be ready within a moment. The original dimensions are 2500×2000 px and it requires minimum CS4 version to work properly. 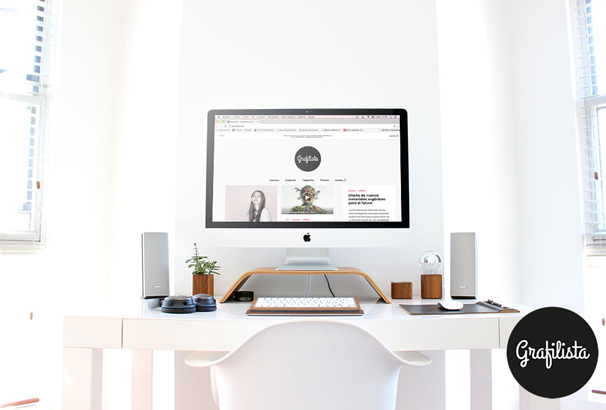 Use this simple workspace mockup PSD to showcase your design on iMac and new MacBook. The PSD file is fully layered and named perfectly so this will be very helpful and save time to create an exclusive mockup for any personal and commercial projects.